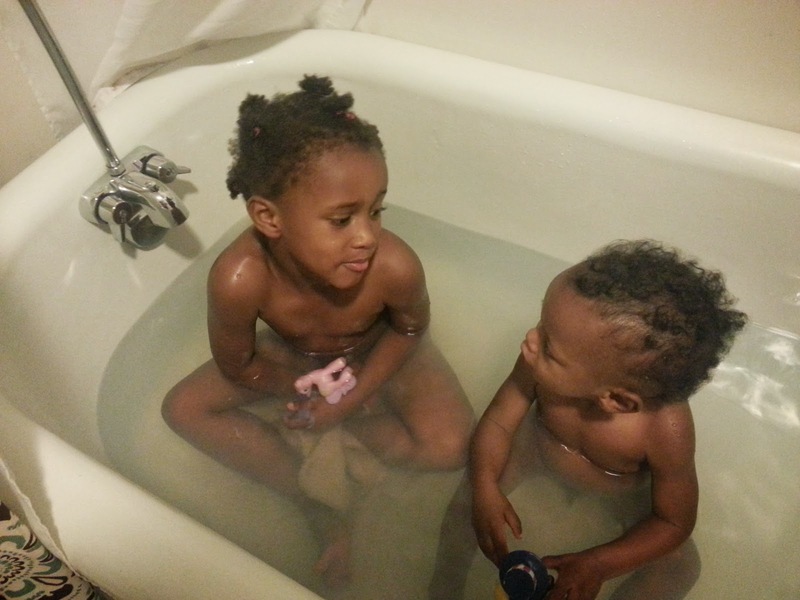 Bathtime is the only time they don't whine or fight. Bless these 10 minutes of peace. Too cute! Desmond looks a lot more like Marlie now than he did when he was younger. He is getting long and lean like his big sis! Awwwwww!! Could they be any cuter? I miss seeing these two on the regular. Looks like they're both growing by leaps and bounds! Awww, so cute. Tub time is so much fun. I remember when I was caring for my nieces and nephews. I would end up all splashed. I am not quite looking forward to the day when my two start fighting! How adorable! Bath time was always a 'neutral' time for me too! 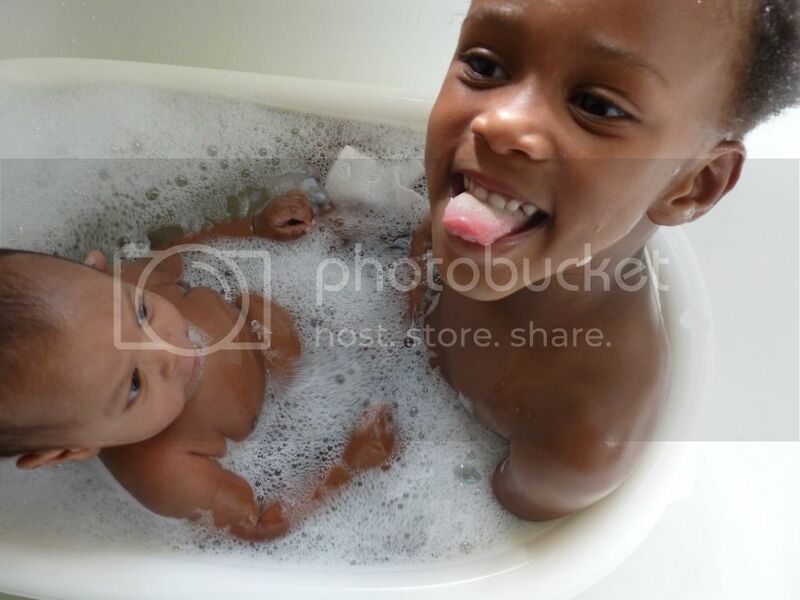 Super cute pics and it's strange how bathtime is calm time for my son too. No matter how much of a hot mess he's behaving like - 5 seconds before entering the water. Once he's in, it's a new kid! So cute. What precious memories! They grow up so quick! lovely memories and adorable picture! Look how big they've gotten!! So cute!